There is no doubt that when almost two hundred young people meet up in one of the most beautiful European cities, huge things are going to happen. We are sure that from this moment, whenever you hear something about unplugged business ideas based on industry, traditions and crafts, this year’s JA Alumni Conference in Prague and Ostrava comes to your mind accompanied by thousands of irreplaceable memories. It was more than refreshing to be unplugged for a while and to educate ourselves on an entirely different basis than we are accustomed to. There is this world phenomenon of start-ups based mainly on online products, services and big data which made us almost forget about the concept of using traditions and handmade production as the source of inspiration for business ideas in the way that they will succeed in current highly competitive entrepreneurial environment. The whole conference team, led by Teri Spišáková, devoted tons of energy and effort to organize the best Unplugged event of all times. Firstly, it seemed like they had chosen the more difficult way to do it, since there were not only several inspiring speeches and workshops on the agenda but also two Czech cities almost 300km apart! But either we spent our time in significant, historical Prague also called the “City of a Hundred Spires” or in industrial Ostrava, we cannot say we didn’t enjoy it to the fullest. Partly because of the great work of JA Alumni Czech, which members always did their best to make everything run smoothly, but there is another reason why it is always such a pleasure to be part of our annual Conference – having all those inspiring JA and JA Alumni personalities around. 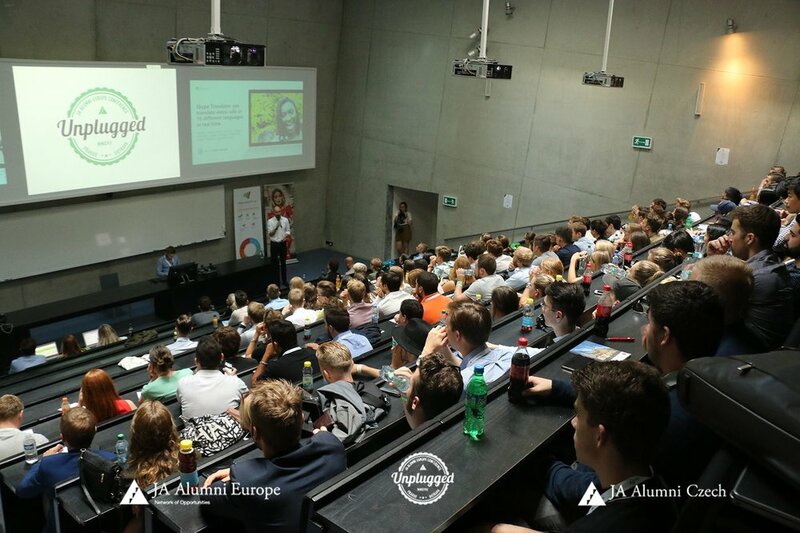 Two creative workshops, 22 interesting presenters such as Thomas Archer Bata or David Meltzer and an unusual panel discussion with female entrepreneurs and innovators, moreover, dozens of new contacts from all around the world, hundreds of new ideas and thousands of new memories – that was JA Alumni Conference 2017. Thank you for an incredible time in Prague and Ostrava, we’re already counting the days for Tallinn and the creative JA Alumni Conference 2018. You can't get enough? "Czech" out the beautiful photos and aftermovie(s) on our facebook page!